Roasted sweet potatoes and your favorite green or salad (I love freshly steamed green beans with this recipe) are great side dishes to complement this burger. For the roasted sweet potatoes, you'll want to make sure you have 1 large potato for every 2 people you will be serving. First preheat oven to 350 degrees then cook rice according to directions on package. While rice is cooking, peel and cube sweet potato, place in a glass pan, and toss in about 3 tablespoons of olive oil making sure all potatoes have a coating on them then place pan in oven for 20 min. When 20 minutes is up, remove and flip the potatoes, adding only slightly more oil if potatoes are dry, and place back in the over for an additional 20 minutes or until soft or crispy, whichever you prefer. Remove potatoes when finished, cover, and set aside. While rice and potatoes are cooking, prepare onion, garlic, jalapeño, and if adding corn and pepper them as well. Heat 1/2 tbsp olive oil in a pan over medium heat and sauté vegetables until soft but not brown, then set aside in separate bowl to cool. Next, prepare remaining vegetables and ingredients and set aside while rice finishes cooking. Once rice is cooked, set it aside in a large mixing bowl to cool. Once rice is cooled, add all ingredients to mixing bowl and mix together with your hands so that all ingredients are distributed evenly. I like to wear cooking gloves or use sandwich baggies to cover my hands to help prevent sticking. First add just 6 tbsp of bbq sauce to mixture and taste before adding more. 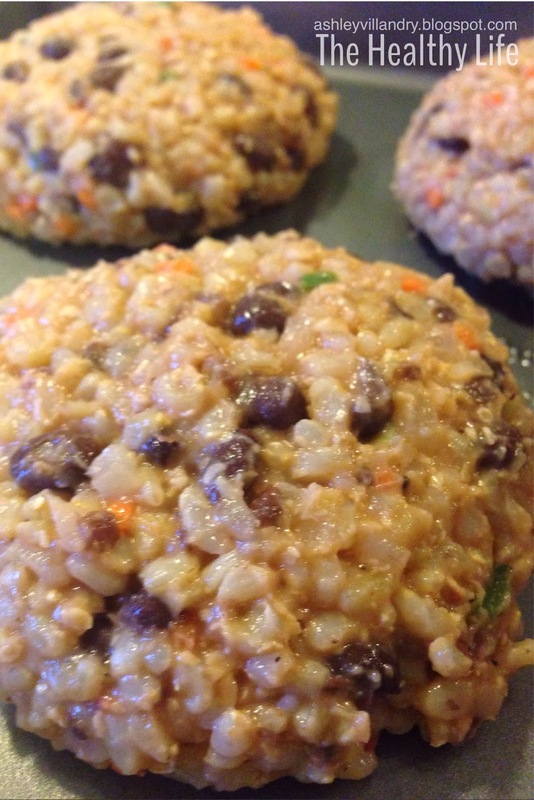 Divide into 5 patties and place onto a nonstick cookie pan and cook for 8-12 minutes. Enjoy on your favorite organic bun and top with lettuce, tomato, and your favorite healthy condiments. 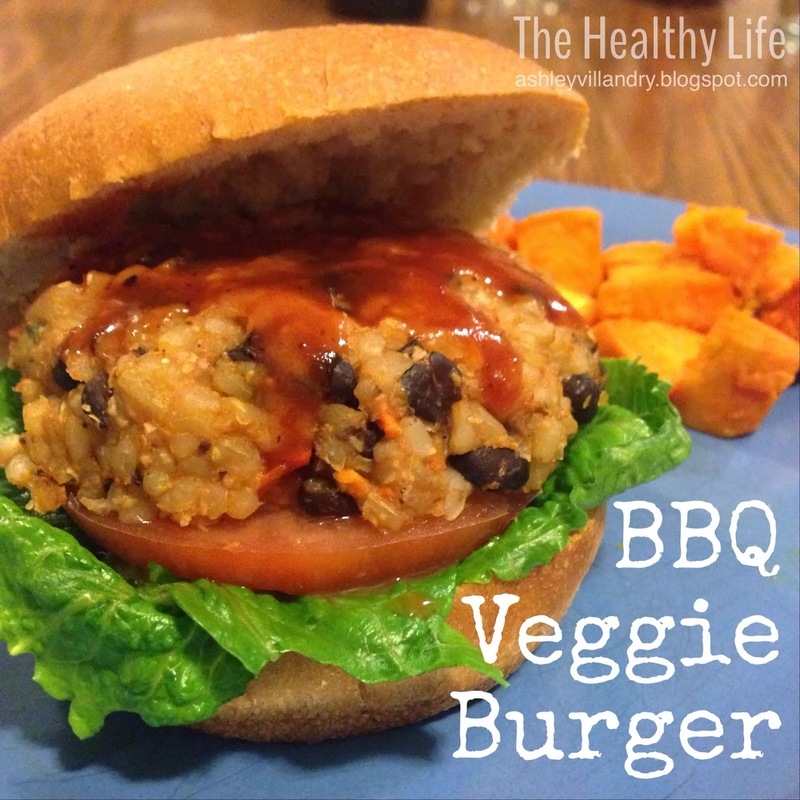 Freshly made mango salsa is an amazing addition to this veggie burger!